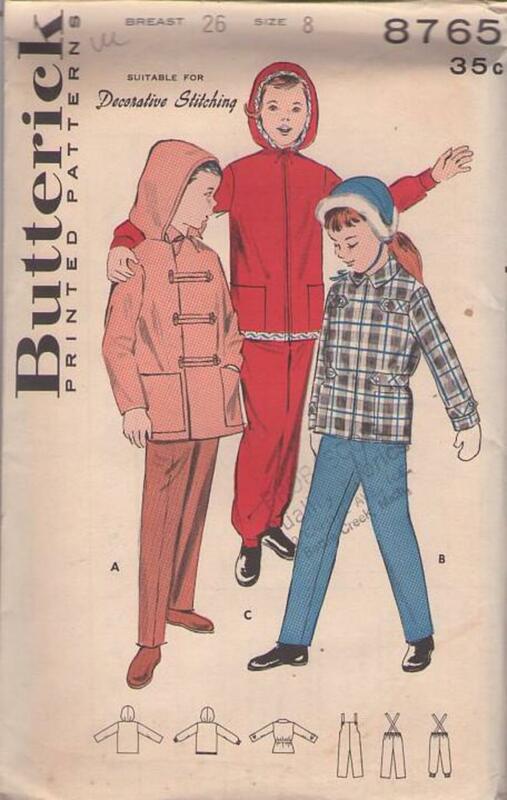 1959, 50s Children, Retro Outerwear Clothing Patterns - CHILDREN'S SNOWSUITS. (A) Double-breasted boxy jacket with detachable hood, contrast suspender pants. (B) Tab-trimmed, zip-front jacket with fitted waist, contrast pants. (C) Boxy braid-trimmed or "decorative stitched' version with detachable hood; knit cuffs on jacket and pants.